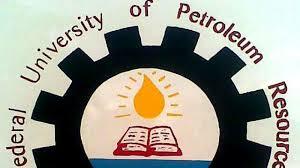 Federal University of Petroleum Resources, Effurun (FUPRE) Centre for Safety Education (CSE) Full-Time & Part-Time Diploma & PGD Programmes in Safety Training and Education Admission Form, Admission Requirements, and Admission Guidelines for 2018/2019 Academic Session. Applications are invited from suitably qualified for admission into the Federal University of Petroleum Resources, Effurun (FUPRE), Centre for Safety Education (CSE) programmes in Safety Training and Education for the 2018/2019 academic session. Admission For 2018/2019 Session is currently going on into Diploma, Postgraduate Diploma (Full time and Part-time) Programmes in Health, Environment, Safety, and Security (HESS) as well as short courses for Companies in Industrial Safety, Health And Security, Basic Water Survival, QA/QC, H2S, Self Contained Breathing Apparatus (SCBA) & Gas Testing, Confined Space Entry, Advance Fire Fighting, First Aid & Cardiopulmonary Resuscitation (CPR), Environmental Waste Management, Environmental Audit, Forklift and Crane operations, Safe Rigging & Lifting and Safe handling of Chemicals (SHOC)/SDS. FUPRE CSE Diploma Admission Form. Admission into the Diploma programme, candidates must possess 5 credits “O” Level passes including English Language and Mathematics. The programme duration for the diploma (full time) programme is for 9 months. The programme is based on the semester system. The programme shall involve field practical experience and individual project work, followed by the submission of a Thesis for evaluation. Successful candidates shall be awarded a Diploma Certificate at the end of the programme. Application form can be filled online or downloaded from the University website (www.fupre.edu.ng), filled and submitted at their office after the payment of non- refundable application fee of Ten Thousand Five Hundred Naira (10,500) only, made payable to CENTRE FOR SAFETY EDUCATION, FIRST BANK PLC. ACCOUNT NUMBER 2028871437. FUPRE CSE Full-Time Postgraduate Diploma Admission Form. Candidates for the full time Postgraduate Diploma programme, must be holders of the following qualifications: BA/B.Sc or HND in Safety from any recognized Institution or Higher National Diploma (HND) with General HSE and HSE Level 3 Certificate in Safety. Candidate without HSE certificate can also apply. The programme duration for the full time Postgraduate Diploma programme is for a period of twelve (12) months. The programme is structured based on the semester system and shall involve field practical experience and individual project work, followed by the submission of a Thesis for evaluation. Successful candidate shall be awarded Certificate at the end of the programme. Application form can be filled online or downloaded from the University website(www.fupre.edu.ng), filled and submitted at their office after the payment of non- refundable application fee of Fifteen Thousand Five Hundred Naira (₦15,500) only, made payable to CENTRE FOR SAFETY EDUCATION, FIRST BANK PLC. ACCOUNT NUMBER 2028871437. FUPRE CSE Part-Time Postgraduate Diploma Admission Form. Candidates for the part-time Postgraduate Diploma programme, must be holders of the following qualifications: BA/B.Sc or HND in Safety from any recognized Institution or Higher National Diploma (HND) with General HSE and HSE Level 3 Certificate in Safety. Candidate without HSE certificate can also apply. The programme duration for the part-time Postgraduate Diploma programme is a period of eighteen (18) months.